Barbican Waterfront is committed to ensuring that your privacy is protected. Should we ask you to provide certain information by which you can be identified when using this website, then you can be assured that it will only be used in accordance with this privacy statement. 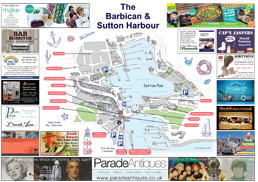 Barbican Waterfront may change this policy from time to time by updating this page. You should check this page from time to time to ensure that you are happy with any changes. This policy is effective from 24th May 2018. 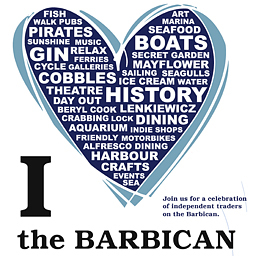 We at Barbican Waterfront take great care in the data you as our website user share with us. Here is a little more about what data do we collect, store and how we store or process it. We do not share any of your details with third parties. By contacting us via this enquiry form you allow us to use your details only to respond to the message. We will not send any promotional information to you as a result of this communication. Data provided by you when contacting us via the website contact form. Your message and your email address will be stored on our email and used to respond to your enquiry. We will not share this information with any third parties and will not send you any unsolicited emails that are not connected to this enquiry. By sending your enquiry, you are not signing up to receiving promotional materials from ourselves. You may ask us to remove this data at any time. These will be stored externally on our email. Your telephone number, if provided by yourself as a preferred method of contact, will be used by a member of Barbican Waterfront to get in touch. It will not be passed to any third parties without your permission. Details of our appointments may be stored externally on online calendars and include location information. Your data may be processed by staff members or companies we work with to be used for billing purposes or to form contracts and service agreements. We collect cookies to make your web experience better. Some of the cookies we collect are essential for this website to work. We also collect some non-essential information in form of cookies to improve the site’s performance. All of the cookies collected are anonymous and do not reveal your identity. Our website collects details of your IP address (when available) as well as location details. These are stored on our WordPress account and used for statistical purposes or for security purposes only i.e attempted unauthorised log-ins. This data is also anonymous but may be passed on to the authorities in case of a suspected cybercrime activity.